When you are amid a gathering of (mostly) silent birders you just cant help but let your mind wander. As a five year old I’d sit with my mum identifying birds visiting the threaded peanut shells hung in the garden. On Thursday morning, a couple of score years and more later, I found myself with my guests and a group of twitchers on a windswept Cornish headland. In the intervening period I’ve seen a lot of birds in the UK; 499 species to be exact. The first warming rays of the sun were stretching my shadow towards sallows surrounded by brambles: this small patch of vegetation was the focus of everyone’s attention. We had spent the lat week on the Isles of Scilly and had returned to the mainland on the previous afternoons ferry. This was the last day of ‘The Isles of Scilly Birders tour’. We were calling at a few places in Cornwall before heading back to Norfolk. Hence our ‘bush-staring’ close to the village of Sennen. 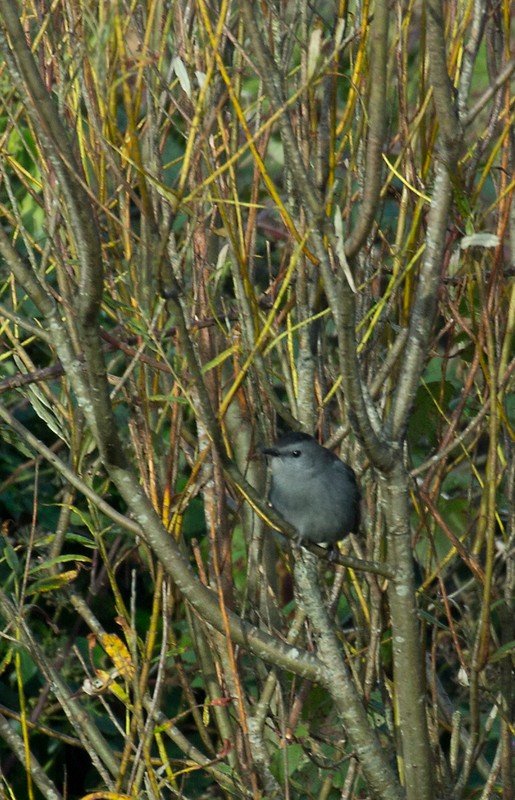 Hidden within the bush was a Grey Catbird. A North American crepuscular bird …way …way out of its normal range. 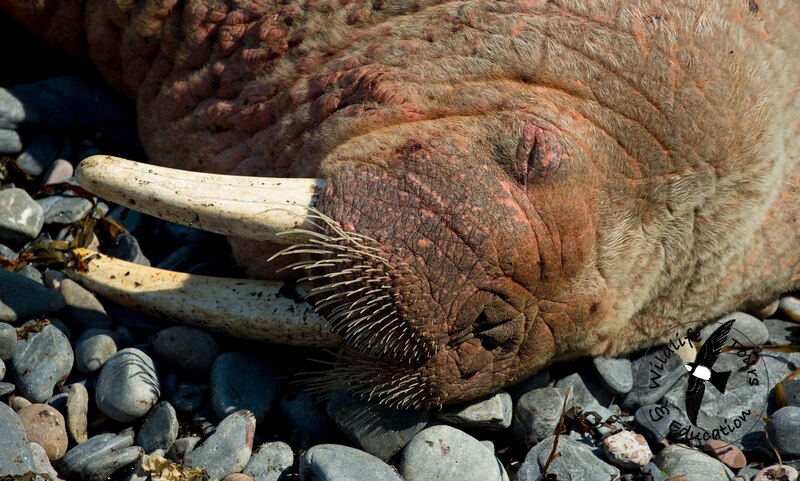 This was the second occurence of this species in Britain. As the sun lit up the lime bark of the willows a dark thrush sized grey bird with a black cap and a rusty vent hopped up to become the landmark of my 500th British species. 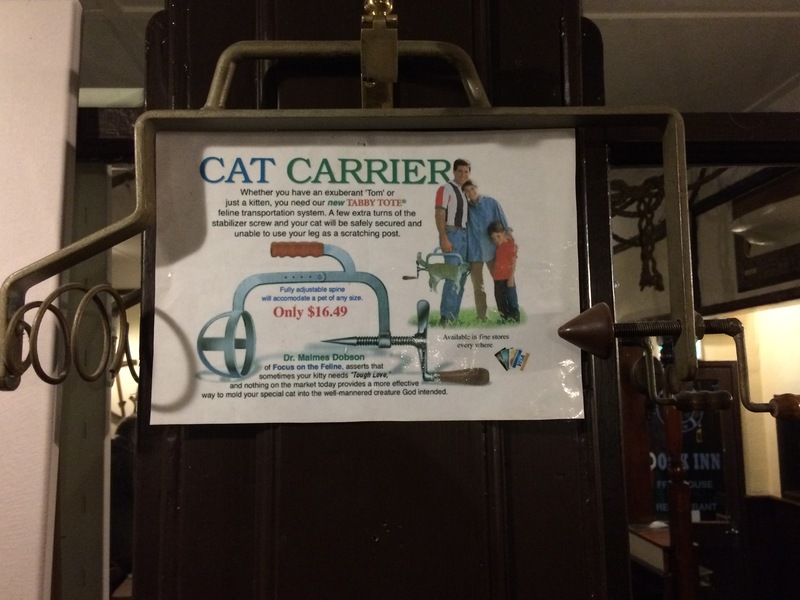 Do you think we could use the ‘cat carrier’ we saw hung on the wall at the pub during our last night of the tour to take it back to the states? No? … well no need to get into a flap about it. Better nip this in the bud right now!